If you'd been a key player in one of the late 20th century's most notable pop culture moments, with all its attendant glory, fame and treasures, you could be forgiven for 'going quietly'. But it is the inability to do very much quietly that often leads musicians into bands in the first place, especially the successful ones. But what to do next, a solo album? Buy a pub like ex-footballers always used to?? No - what about DAIRY. 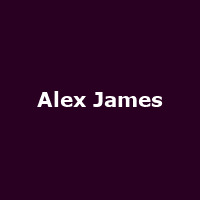 For a new generation, Alex James is that bloke off the telly (and in the paper) who seems to talk about pop and rock as if he's some sort of insider while spending the majority of his time on a farm in fetching blue overalls, or wearing tweed like a post-9/11 Guy Ritchie, all the time waxing lyrical about cheese. It is, one has to admit, a fairly unique story arc. Not always popular for his rhetoric, Alex James is nearly always interesting. The tales he recounts are told with eloquence and some humility; with an assured confidence rather than an outward arrogance. And he'll be telling his stories to Tim Arthur, the editor of Time Out, at a one-off evening of conversation at London's Shaw Theatre on Thursday 5th April 2012 (and no doubt seeing in the new tax year). We have tickets available now, priced £12. Like all the best cheeses, they will sell out. Or go off.